There are many advertisements on the internet for “awake breast augmentation”. Many of the surgeons that offer this procedure are not truly board certified plastic surgeons, and thus do not have privileges to perform breast augmentation or breast implant placement at an accredited surgical facility. For that reason, their only recourse is to perform the procedure in their office without general anesthesia. Make sure that your provider is a board certified plastic surgeon. The process to achieve accreditation by the American Board of Plastic Surgery is quite rigorous, and you can be assured that a surgeon that has achieved these credentials has the necessary expertise and training to perform this operation. A variety of other doctors who have not achieved this presentation, may not even be plastic surgeons. 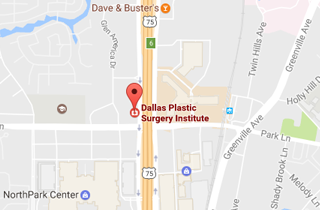 Should you have any additional questions, please do not hesitate to contact Dr. Jejurikar at 214-827-2814. Dr. Jejurikar is accredited by the American Board of Plastic Surgery.